A Houston ISD school bus was involved in an accident on Highway 3. 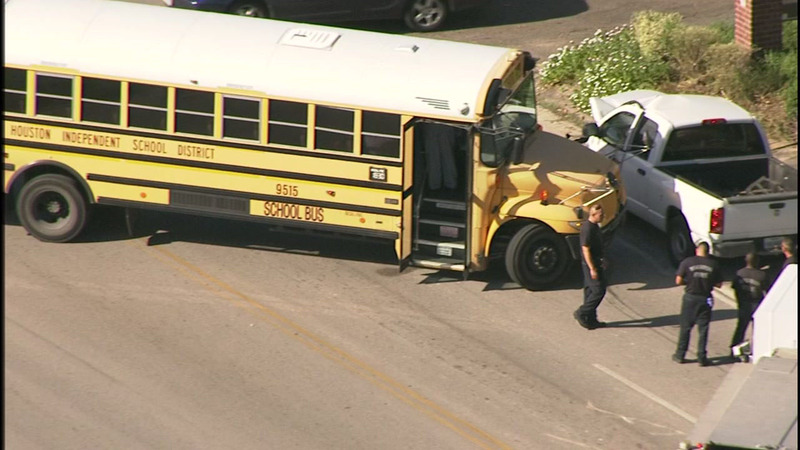 HOUSTON (KTRK) -- A Houston school bus has been involved in an accident in southeast Houston. The accident happened on Highway 3 at Howard shortly before 4pm. HISD officials say three students from three different schools were on the bus at the time. They were checked out as a precaution and all are reportedly fine. They will be put on another bus to go home.